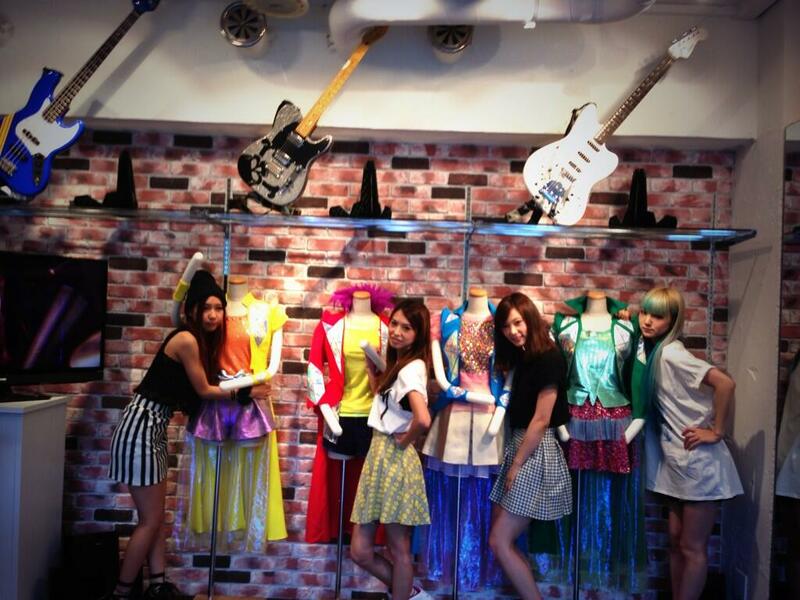 Kitty has opened a shop in Shibuya where they sell SCANDAL goods. 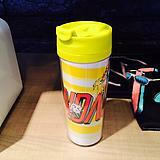 As of September 2014, Kitty Shop will have a permanent residency in this location until otherwise noted. 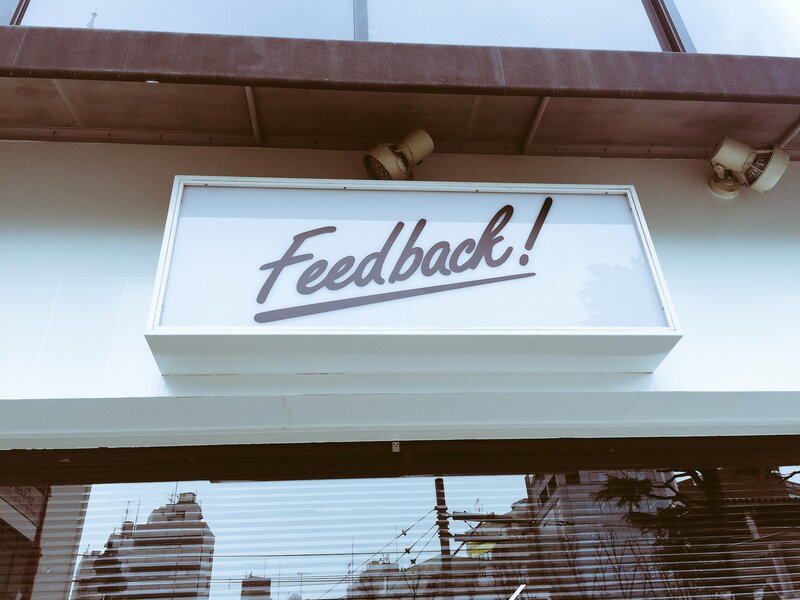 NOW: As of March 2016, it has been turned into the "Feedback! 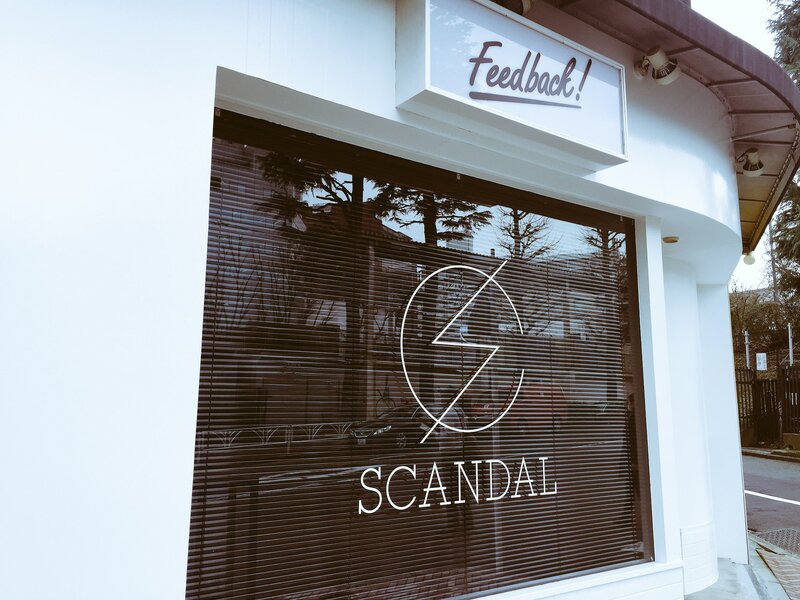 Shop," a private shop that sells official SCANDAL goods. 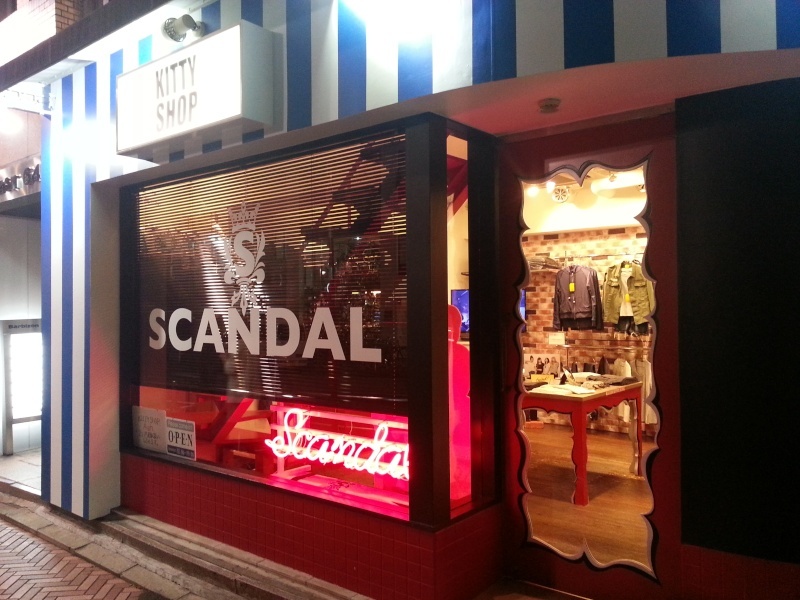 This differs from the Kitty Shop since the Kitty Shop used to sell other band goods as well, but now they will only be selling SCANDAL goods as the Feedback! Shop. Regarding the online Kitty Entertainment Webshop, here is a guide if you wish to purchase items from the site. First, you MUST register with the package forwarding site Tenso and get a forwarding address. This a pretty lengthy process, however, and can be kind of hard to do because you need to figure out everything on your own. If you wish to have everything taken care for you with little to no effort on your part, you should use a shopping service. Reputable ones include FDJP, FromJapan, Rinkya, and even CD Japan. 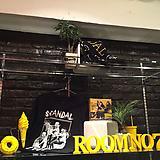 EDIT (March 29, 2019): As of today, SCANDAL's new webstore is "ROOFTOP ONLINE STORE." Hopefully they accept foreign-issued credit cards like before! Rats. It closes to early! I was thinking of making a thread for this a while ago but decided not to lol. And I moved this to the Other News forum, btw; I think it's best suited here. They'll be selling the newest goods as well as goods from the hall tour last year, Feedback apparel, the SCANDAL photo book, band scores, etc. It doesn't look like they'll be selling any exclusive goods or anything. The Kitty Shop (not to be confused with the SCANDAL SHOP) will again be open in the same location from October 19th to December 3rd. 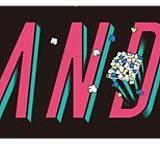 SCANDAL goods, CANTA goods, Feedback! apparel, and STANDARD tour goods (excluding venue-only goods), etc. will be on sale. 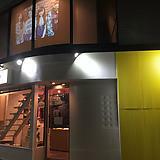 They won't have any exclusive goods like the SCANDAL SHOP, though. Nice, I'll be there too. I was hoping this would happen. So I made it there today. The store at the moment basically is a Scandal shop. 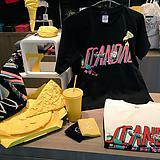 There's some non-Scandal stuff but about 85% of the store is dedicated to Scandal. Upstairs they have all the tour goods, plus some fan club-only merchandise (they display it but they will only sell it to you with a Scandal Mania ID), and some other random stuff. Downstairs they have non-specific Scandal clothing, plus some stuff from other Kitty artists. I didn't get pictures inside because I just assume it's forbidden, as it usually is in Japan. A lot of the tour goods were sold out, including some stuff I wanted to try to get before the show so I wouldn't have to worry about it (keychain set, a couple L size t-shirts). The store had kind of a weird vibe when I was there. It's sort of in the middle of nowhere (as much as a store in Tokyo can be) so when we walked in, they actually seemed surprised to have customers. Obviously there was no one else in there. The clerks didn't scream out "irrasshaimase!" like most shop clerks are trained to do - both the downstairs and upstairs clerks just kind of looked up from the books they were reading as if they were annoyed at the interruption, then looked back down. Combined with there being no one else around, it felt a little depressing and borderline unwelcoming, to be honest. I did buy the tour photo book, which I didn't realize was hardcover. That's cool. I had planned to buy it anyway, so it's one less thing to worry about. For the rest, I'll have to hope for the best on the 7th. 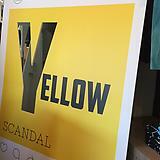 I had a chance to check out the Scandal Shop as well. :) When I went they had most of the tour goods except for the venue-only items (tour-shirt and towel) and a few ones which were sold out. Lots of their Feedback branded merch and a nice selection for Scandal Mania members upstairs where you can sign up for a membership as well (near the wall Scandal autographed). Maybe they were different persons for you guys because on one story they look terrible and on the other they looks awesome =P Or maybe they were just having a really bad day. just bumping this thread, the SCANDAL pop up shop is open again starting from today, March 15 and it doesn't day how long its open till or if its only for today. was wondering if anyone could clarify if it;s only open for today or its open starting from today cuz my friend is heading over and they wanna grab some stuff from me. Looks like it's open starting from today. I doubt they'd keep it open for only just one day. thanks for the clarification! i appreciate it! cool, i'll be telling my friend to buy some stuff from the shop. 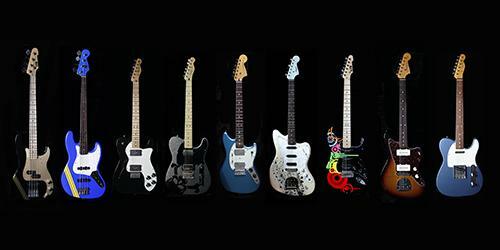 idk if i understood wrong but they will also be selling the guitar and bass models as well. Hawaii fan wrote: idk if i understood wrong but they will also be selling the guitar and bass models as well. Kitty Shop is opening up again on 9/19 and will be selling new t-shirts and towels with the new logo on them. They haven't yet announced whether or not the new goods will be up for sale online. The new logo T-shirts and towels are now available online. This is only available at the Kitty Web Shop and not the international website. Hence, the need of a deputising service. 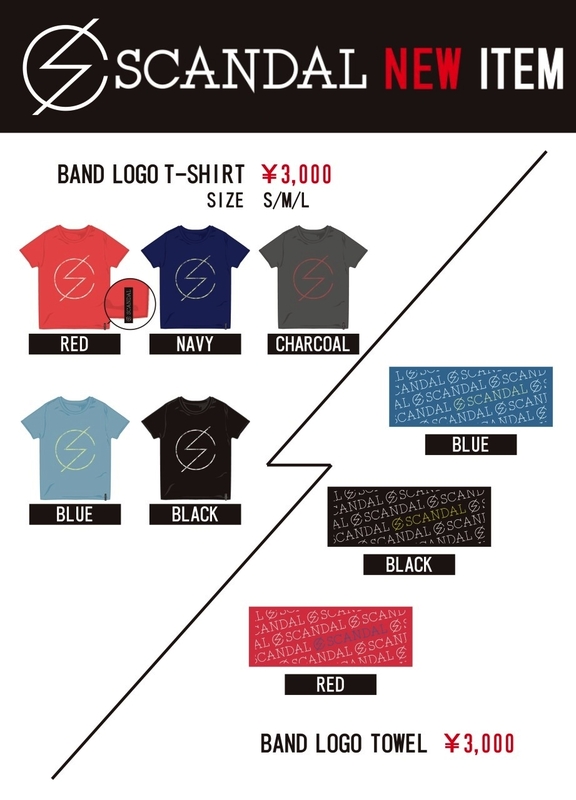 It is not known when they'd be selling these logo T-shirts on the international site, but from the way they had been doing things with the HELLO WORLD and SCANDAL 4th SHOP items, it may not be for a while, if at all. 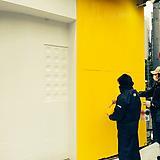 Starting from 10/24 (Sat. ), SCANDAL NEW GOODS 『Kimagure Series - Halloween Binjou T-Shirt』 (On-a-Whim Series - Taking-Advantage-of-Halloween T-Shirt) will be sold in a limited quantity! It features an original design handdrawn by the members! Won't you take advantage of Halloween by wearing this t-shirt? It will only be sold at KITTY SHOP! Don't miss out! ※This will only be sold at KITTY SHOP. 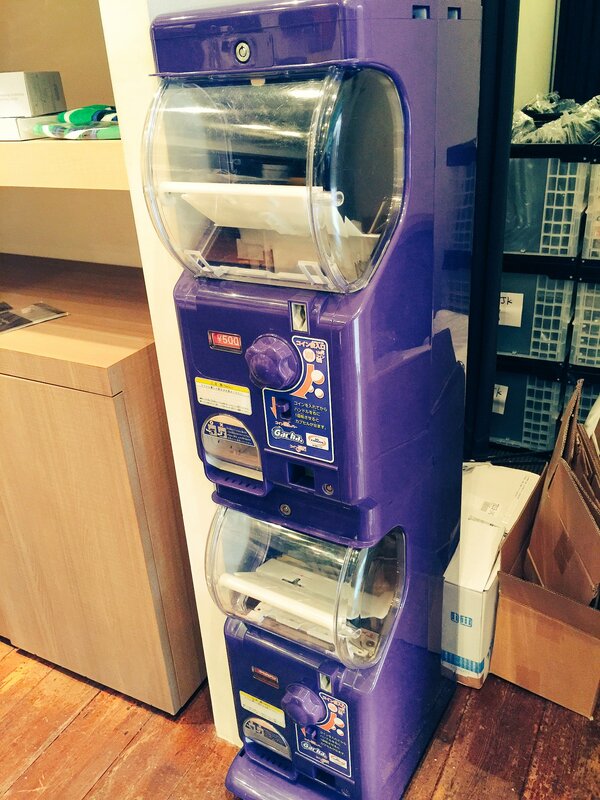 ※Because quantities are limited, please understand in the case that it sells out. 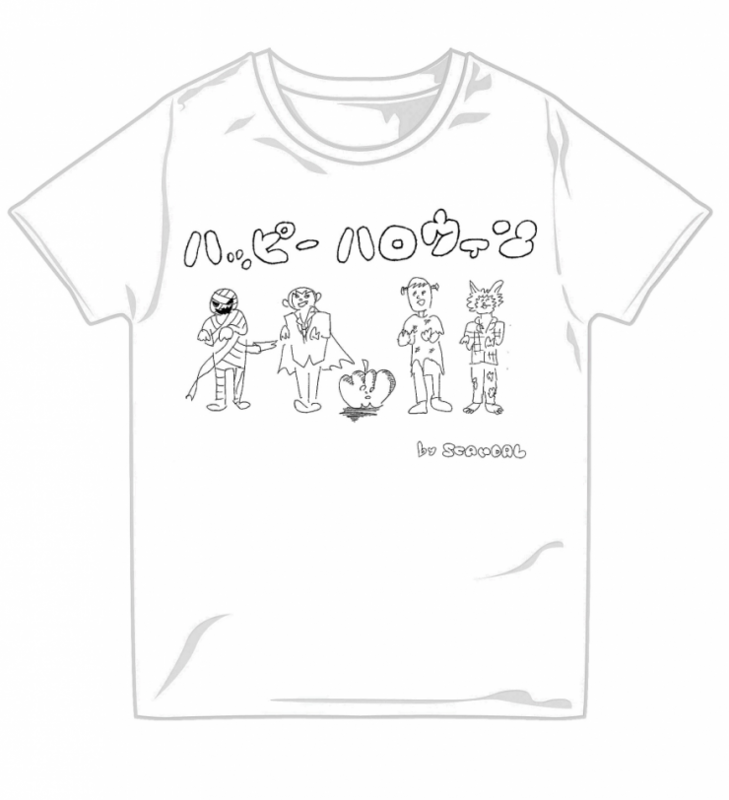 *Note that this will only be sold at the Kitty Shop in Shibuya. It will NOT be made available online. Quick question. I just stumbled upon the logo shirts last night and would really like to get one. My problem is are there any discrepancies with the sizes seeing as they are from a different country? And then are they generally unisex? I'm male, but I have a skinny body so I usually don't have to worry, just the length. Japanese sizes are a size smaller than their Western counterparts. I was afraid of that, haha xD. Does the site usually restock often? thoseguiltyeyes wrote: Japanese sizes are a size smaller than their Western counterparts. What about length? Are they shorther than the one size smaller US size or about the same? Arcsol wrote: Does the site usually restock often? They're not very consistent with restocking. Since the logo shirts are brand new items and they've yet to ever restock them, it's impossible to predict when they'll be back in stock. If I'm remembering correctly, in the recent past the band's Twitter announced a few days in advance when they would be restocking the webshop, so maybe they'll do that again in the future. Scandalsuki wrote: What about length? Are they shorther than the one size smaller US size or about the same? I'm not sure, and I don't have any SCANDAL shirts on me at the moment to check. I'll measure them up against a US size t-shirt tomorrow and post an update then. Should be the same. I have the logo T-shirt in Japanese L which is 28 inches long which is equivalent to the length of an US medium. The length of a US small/Japanese M T-shirt is 27 inches, conventionally. Theoretically, it shouldn't be any shorter than that. I do appreciate different manufacturers have different sizes, but I hope this helps. On a side note - I'm glad I bought them on the first day they sold them. Hehe. 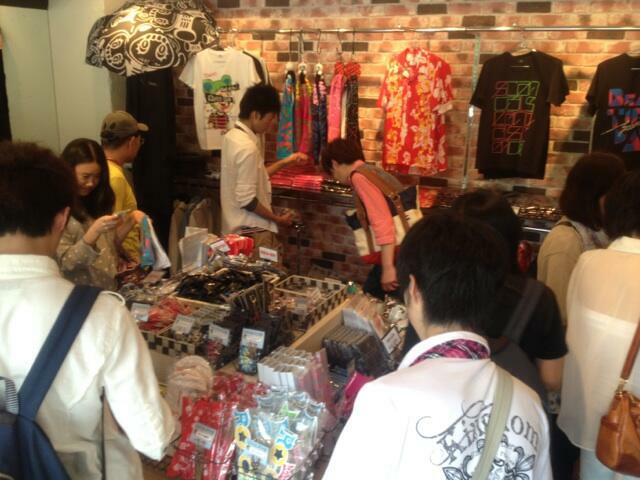 KITTY SHOP in Shibuya has begun selling arena goods! A PERFECT WORLD t-shirt in a SHOP-only color is also available! 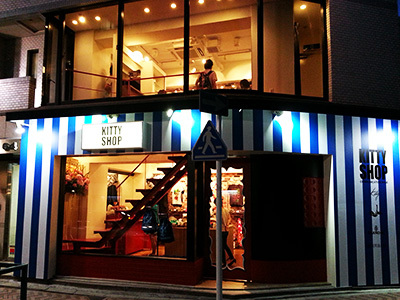 Starting tomorrow, 3/1, the Kitty Shop in Shibuya will be reopening as "Feedback! 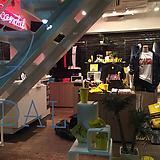 Shop," a private shop that will sell official SCANDAL goods. This differs from the Kitty Shop since the Kitty Shop used to sell other band goods such as FLiP, but now it seems like they will only be selling SCANDAL goods as the Feedback! Shop. 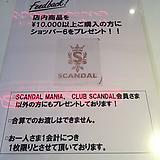 Those who are in SCANDAL MANIA or CLUB SCANDAL that spend more than 10,000 yen will receive a free original mug. Those not in either club who spend more than 10,000 yen will receive a free Shopper 6 bag. 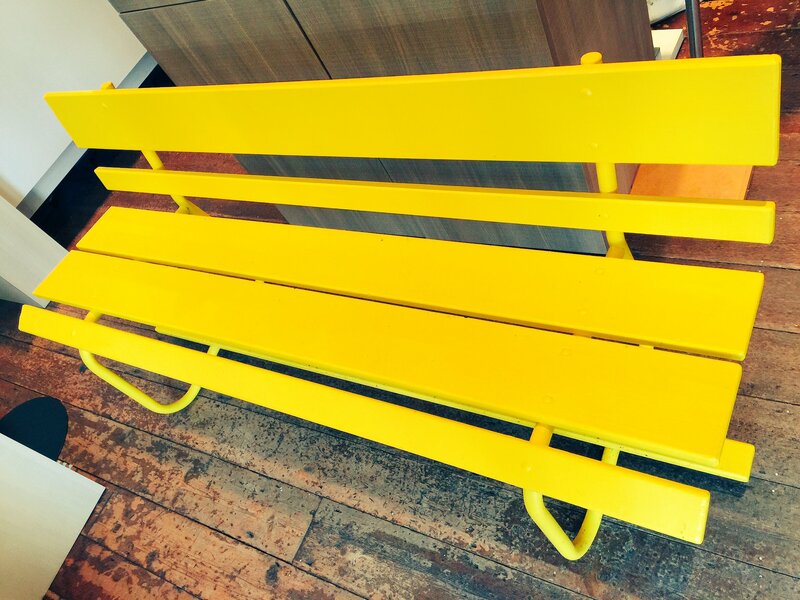 They also have a panel set up to look like an Instagram post of the YELLOW DVD cover. 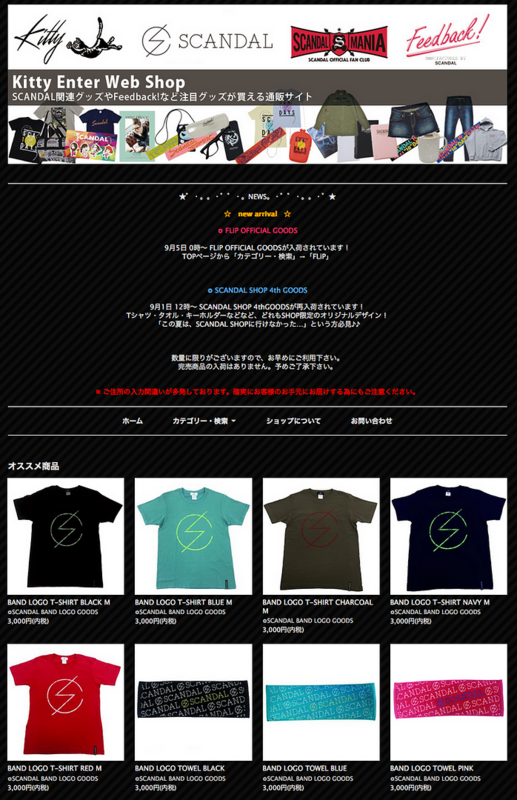 Ah, those items look marvelous I especially love the T-shirt and towel design.